Audiences in 20 cities will have a special opportunity to see “The Guilt Trip” on December 2, followed by a Q&A with the film’s stars Barbra Streisand and Seth Rogen, to be streamed live via satellite from Los Angeles. The movie will be shown at AMC Theaters in Los Angeles, New York, Chicago, Washington D.C., Miami, Boston, Houston, Denver, Phoenix, Dallas, Kansas City, Atlanta, Detroit, Minneapolis, Orlando, Philadelphia, Sacramento, San Diego, San Francisco and Seattle. For more information and to reserve your seat, visit Gofobo. “The Guilt Trip” stars Rogen as Andy Brewster, an inventor about to embark on the road trip of a lifetime, accompanied by his overbearing mother Joyce, played by Streisand. After deciding to start his adventure with a quick visit at mom’s, Andy is guilted into bringing her along for the ride. Across 3,000 miles of ever-changing landscape, he is constantly aggravated by her antics, but over time he comes to realize that their lives have more in common than he originally thought. His mother’s advice might end up being exactly what he needs. “The Guilt Trip” is directed by Anne Fletcher, written by Dan Fogelman and produced by Lorne Michaels, John Goldwyn and Evan Goldberg. It opens everywhere on December 19. Previous PostPrevious Contest: “Rise of the Guardians” Gift Pack With Toys and WII Game! Contest: “Rise of the Guardians” Gift Pack With Toys and WII Game! To enter for this spectacular prize package, send me an email at moviemom@moviemom.com with “Guardians” in the subject line and tell me your favorite character in the film. Don’t forget your address! (US addresses only.) I’ll pick a winner at random on December 5. Good luck! 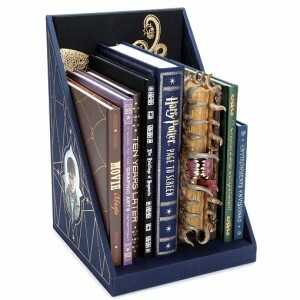 For the Harry Potter fan in your life — there’s a new 3000-copy limited edition book series about the making of the films: Harry Potter Page to Screen: The Complete Filmmaking Journey (Collector’s Edition) , with eight books, each a replica of one of the Hogwarts textbooks. My favorite is the one based on the Monster Book of Monsters, complete with sharp teeth. All the behind-the-scenes details are here, from the stories of the props and costumes and special effects to the stories of the friendships that developed on the cast and crew over the course of 8 films. Prepare for sticker shock — it lists at a steep $1000, but you can pre-order it on Amazon for just $600. Or, you can get the one-volume version for $75 (currently more than 40% off on Amazon). Both open the doors to Hogwarts castle and the wizarding world of Harry Potter to reveal the complete behind-the-scenes secrets, techniques, and over-the-top artistry that brought J.K. Rowling’s acclaimed novels to cinematic life. Developed in collaboration with the creative team behind the celebrated movie series, this one-volume deluxe, 500-plus page compendium features exclusive stories from the cast and crew, hundreds of never-before-seen photographs and concept illustrations sourced from the closed film sets, and rare memorabilia. As the definitive look at the magic that made cinematic history, Page to Screen is the ultimate collectible, perfect for Muggles everywhere. 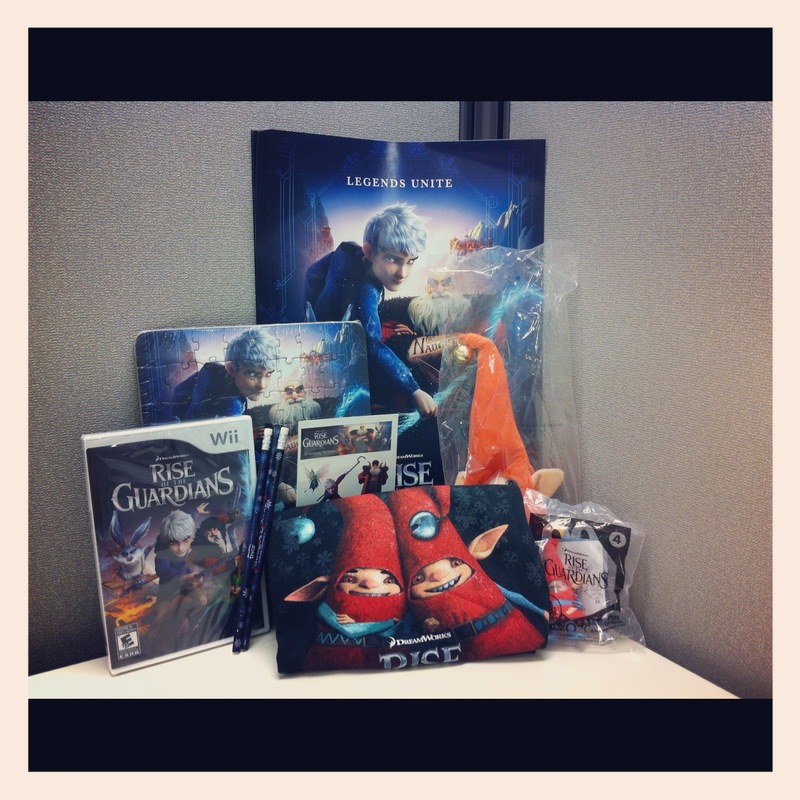 Next PostNext Contest: “Rise of the Guardians” Gift Pack With Toys and WII Game! 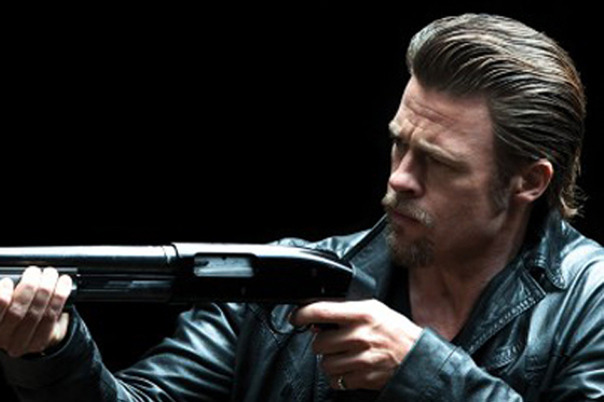 Brad Pitt plays Jackie Cogan, a hit man who prefers to kill people “softly,” meaning with as little fuss and muss as possible. But because he is a hit man, he is constantly surrounded by messes that he is asked to clean up. Two dumb crooks (Scoot McNairy and Ben Mendelsohn) are recruited by a dry cleaner to rob an illegal poker game run by Markie Trattman (Ray Liotta). Since it is generally understood that Markie had arranged the robbery of one of his own games in the past, the dry cleaner figures that he will be assumed to be behind this one, too, so no one will come after them. In other words, a mess. Time for Cogan. But Cogan knows the dry cleaner, and he prefers to kill people he doesn’t know. Not because he has scruples — it’s just because the ones who know him know why he is there and they get all upset and start crying and begging. And that is messy. So Cogan brings in some help from out of town, another hit man named Mickey (James Gandolfini). They’ve worked together well in the past, but since the last time Cogan saw him, Mickey has started to unravel. More mess. (Note: “Windmills of Your Mind” was the theme song of the original “Thomas Crown Affair,” with Steve McQueen as a millionaire businessman with a sideline as a criminal mastermind.) One of those moments would be plenty. We get it, we get it, the real crooks are on Wall Street and in Washington. Balletic blood spatters juxtaposed with songs are ironic. Or something like that. Choice moments — Gandofini’s monologues, the conversations between Cogan and his bureaucratic contact known just as “The Driver” (Richard Jenkins), and juicy talk cannot make up for the feeling that this is Mamet Lite, and just the kind of messiness Cogan is wise enough to resist. Parents should know that this story concerns criminals and thugs including drug deals and hit-men. It includes very graphic violence with disturbing images, dead bodies, constant very strong language, explicit and crude sexual references, a prostitute, smoking, drinking, and heroin. Family discussion: What is the point of the news broadcasts about the financial meltdown? How does this community establish their rules? What does Jackie want? Previous PostPrevious Contest: Thomas, Bob, and Sam! Contest: Thomas, Bob, and Sam! I am giving away two DVDs, featuring family favorites Thomas the Tank Engine, Bob the Builder, and Fireman Sam. “Heroic Rescue Adventures” has Fireman Sam and his fearless crew saving Norman from a fiery tower and a deep wishing well. 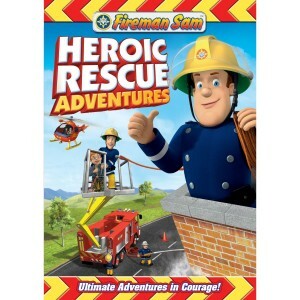 When Mike or Penny are dangling dangerously or Sarah is stranded on a cliff, Sam will save the day. And “Awesome Adventures: Thrills and Chills Vol. 3” features Sam, Bob the Builder, and Thomas and Friends in six exciting stories. To enter, send me an email at moviemom@moviemom.com with “Sam” in the subject line and tell me your favorite of Sam’s rescues. Don’t forget your address! (US address only.) I’ll pick a winner at random on December 3.